It is impossible to imagine today’s life without paints and varnishes of various applications – it will immediately fade and lose the colors to which we are accustomed. 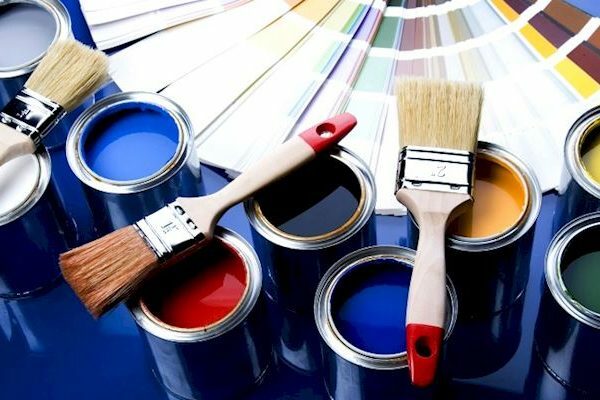 Paints and varnishes are needed for the construction and repair of buildings, the production of locomotives, cars, cars, ships and airplanes, the manufacture of furniture and household appliances, the protection of metals and wood, and for many other purposes. Today, the Russian market has a wide range of industrial and household paints, and experts estimate its capacity at $ 3 billion. The consumption of paintwork materials (paintwork materials) is growing from year to year, but so far on average per capita in our country only 10.7 liters are used annually, while in the United States this figure reaches 20 liters. The share of imports is still high in the consumption of industrial paints and varnishes – in 2017, 45 percent. But efforts to develop the industry and incentives to localize foreign companies are already bearing fruit. For five years (from 2012 to 2017) new capacities for the production of paints and varnishes totaling up to 185 thousand tons per year were introduced. In total, the industrial potential of the industry is about two million tons. Even against the background of the rapid growth of the entire chemical industry (7 percent per year), the growth rate of the production of paint and varnish materials looks impressive – 10 percent in 2017 compared to 2016. A major role in the development of the paint industry was played by the localization of production by leading world manufacturers. “The volume of own-produced products shipped increased by 60.8 percent in 2017,” said Prof. Mendeleev Mikhail Kvasnikov. – Profits in the sector for 2012-2016 increased 2.5 times, and investments in fixed assets – 4 times, the volume of fixed assets – by 29.5 percent. The localization of production by the leading world manufacturers of paint and varnish materials played a major role in this. In 2015 alone, nine companies invested more than 42 billion dollars in the Russian paint industry. The industry is widely introducing the latest, so-called “paint technology”. They distinguish several directions. This is the creation of environmentally friendly coatings (water, powder, high dry residue, radiation curing, etc.). These are modern technologies of anticorrosion protection of hardware, gas and oil pipelines and storage facilities. Development of flexible modular low-waste production schemes paintwork. As well as efficient waste-free coating systems and the creation of coatings with special properties (for shipbuilding, aviation industry, space, etc.). All this opens up the broadest prospects for the industry.